Wost Premier League manage ever? | The Transfer Tavern | Where football transfer rumours fly or die! With Steve Kean’s departure from Blackburn last month, many have commented on whether he is the worst Premier League manager of all time. Thankfully for Kean, there are plenty of other contenders for that crown, and here he review six of the most catastrophic tenures in the modern era..
Terry Connor is part of an illustrious group, but not a satisfying one. He sits alongside Jimmy Gabriel at Everton, and Paul Jewell at his time at Derby as the only three managers who failed to win a single game whilst in charge of a club. Of course, Connor was unfortunate that he inherited a very mediocre side that were already destined for Championship football. But the nature of the collapse that occurred post Mick McCarthy surprised everyone. Ten games, no wins and eight defeats ensured that Connor won’t be on any clubs manager short lists in the immediate future. Unsurprisingly, Connor was relieved of his duties at the end of the season. But it is a shame. Connor was a decent coach at Wolves and was asked to do a job that was too big for him, and for that a large proportion of blame has to be laid at the door of Steve Morgan, Wolves’ chairman. Like Terry Connor above, Laws fits into a category that isn’t anything to be proud of. After stuttering to 22nd place in the Championship with Sheffield Wednesday just after the mid point of the campaign, there was a mixture of confusion and surprise when he was announced as Owen Coyle’s replacement at then Premier League side Burnley. Both Sheffield Wednesday and Burnley were subsequently relegated at the end of the season, this despite Burnley enjoying a promising start to Premier League life. The inevitable happened the following Christmas when Laws was sacked after Burnley struggled to adapt to life back in the Championship after their solitary adventure in the Premier League. A bizarre appointment that made little logical sense. It is never easy for managers to come in immediately after the departure of someone who was heralded at the club. Sammy Lee had the misfortune to be that manager, after Sam Allardyce brought an end to his remarkably successful tenure at the Reebok. 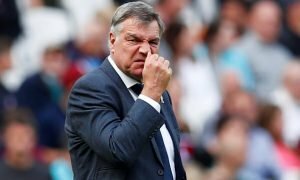 Allardyce had Bolton punching well above their weight season after season, he even had the club embarking on European adventures in 2005, and again in 2007. That legacy was a lot to live up to, and Lee struggled to cope under the spotlight of Premier League management. Lee only guided Bolton to one win in the 11 games he was in charge, and was replaced as early as October. After a spell as assistant manager at Liverpool he is now back at the Reebok in a coaching role. Following Owen Coyle’s sacking this week, Lee has been placed in temporary charge, but is unlikely to return to full time management. Chris Hutchings was given two stabs at Premier League management, but was quickly replaced on both occasions. Firstly, he was promoted from assistant to Paul Jewell at Bradford but lasted only 11 games, which included just a solitary victory, an opening day 2-0 success over Chelsea. Seven years later history repeated itself, as Jewell resigned as manager of Wigan Athletic after a dramatic final day escape at Bramhall Lane. However, things again didn’t work out for Hutchings, and he was once more shown his P45. There were remarkable similarities between both occasions, and the two sackings occurred just one day short of exactly seven years apart. Reed arrived at Charlton during a period that can be described as transitional at best, so he was always destined for a tough job. With Alan Curbishley leaving the Addicks at the end of the 2006 season, the club initially turned to Iain Dowie, yet he departed after just six months in charge. Incredibly, Reed’s time in the hot seat lasted shorter still, just 41 days to be precise and this included an embarrassing exit of the Carling Cup to League Two side Wycombe and just one victory. With the media mocking, and the Charlton fans booing, Reed’s position quickly became untenable, and he left the club by mutual consent on Christmas Eve 2006. Needless to say, it proved a disastrous season at the Valley, and remains their last Premier League campaign to date. Wilkinson remains the last English manager to win the top flight, after guiding Leeds United to the First Division trophy in 1992, the season before the introduction of the Premier League. But his experience of Premier League management couldn’t have gone more contrastingly. 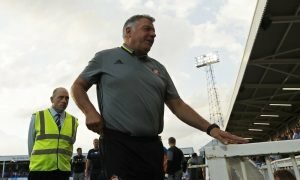 In 27 games in charge of Sunderland, he mustered just four wins and was given the sack in March. By that point however, the Black Cats season had effectively ended and they entered the record books as the side to pick up the fewest points in the Premier League era (until Derby took the honours a few years later). Wilkinson is far from the worst manager on this list, as emphasised by his other achievements, but there have been few more unsuccessful periods than the one he endured at Sunderland.